Is almost enough to drive pity from stones. 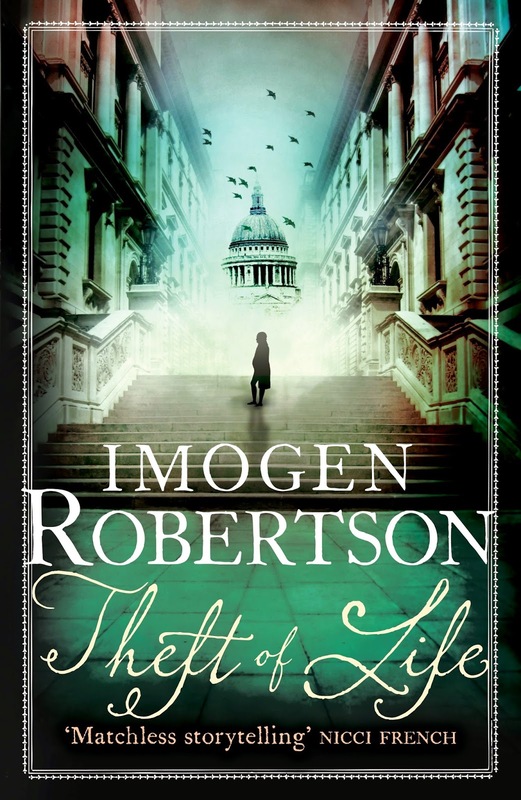 Theft of Life is my sixth novel, and my fifth set in the 1780s. It’s also my first to deal with slavery. I’m often asked why I chose to write about this period and I talk about how the Georgians in their letters, diaries, architecture and music feel very close to us in spirit. I talk about the growth of consumer culture and the beginning of industrialisation. I also talk about how at the same time life could be brutal and short. After researching and writing Theft of Life, I see all of that, the civilities and the brutalities, in a very different, harsher, light. I thought slavery horrific, of course I did, but I didn’t really think of it as being part of my cultural history, and it is. It’s probably worth saying that I think there were many in England in the 18th century who were similarly ignorant. Some wilfully, some not. The prevailing attitude is summed up in the satirical lines from William Cowper which are at the top of this post and form one of the epigraphs of Theft of Life. In the novel I have written are characters who have benefited from slavery, and some who have been enslaved. There are some who try and make amends for their ignorance and some willing to defend their freedom both as a fact and a principle. 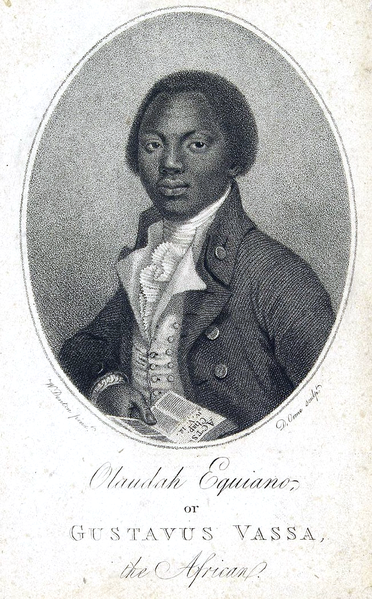 It is only a novel, but I hope that reading about my characters might encourage some readers to find out more about the individuals who inspired them and read their works, Quobna Ottobah Cugoano and Olaudah Equiano in particular. Equally I wish the works of the early campaigners against slavery, Granville Sharp and Thomas Clarkson, were better known. I also hope readers might think a little of all the lost stories of the millions of Africans who were murdered for profit. I shall be very interested to see how the government responds to the ten point plan on reparations adopted by Caricom this month. For those people who say that it was all a long time ago, and its unfair to expect apologies and reparations now, I’d just like you to remember that fifth slide on the Walvin link above. The collection that helped found the British Museum, the collection that formed the basis of the National Gallery were both donated by individuals whose wealth was slave wealth. So we are, make no mistake, still enjoying the profits of slavery today. I had the same experience Imogen in thinking that the horrors of slavery were nothing to do with me or where I live. But my nearest city, Glasgow, owes a lot of its development to the Tobacco Lords and some of its beautiful architecture and galleries are the legacy from money gained by human exploitation. Am looking forward to reading your book. I remember being shocked and horrified when I learned how much the wealth, splendour and beauty of Harewood House, Yorkshire (the current Earl Harewood is the cousin of our queen) was largely derived from the money deriving from sugar plantations in the West Indies - and hence slavery. Also, when critics complain that Jane Austen doesn't write about the wider world they clearly haven't read Mansfield Park closely enough. Big issues, that could do with more attention. I am really looking forward to reading this. Please don't say 'only a novel'! Thanks, guys. It is a huge issue. I shall try not to say 'it's only a novel' in future. Promise. Thing is, slavery still exists, in a number of forms. There are children out there working off family debts which will never be worked off. At the very least, there are people in third world countries working for ridiculously small wages, and international companies taking advantage of this, outsourcing jobs to where they're cheapest to make a profit for their shareholders and the obscenely wealthy people who own the companies. If you're buying chocolate, ask yourself if you're enjoying the sweet taste of a product relying on child labour - most of it is. Even this iPad on which I'm typing this comment was probably made by people who are just barely above the level of slave labour. By all means feel bad about your heritage based on slavery, but it's still happening - only, in this world, there is something you can do about it. Thanks for writing about it Imogen. Quite often poc get accused of 'going on' about slavery when it is such an important foundation of what current life in 'the west' is built upon. I had one book review for a children's book set in the early 18thc which said that I had my facts wrong as 'there was no slavery in Britain'. I make no excuse for slavery - I think it's a horror, ranking alongside genocide for its sheer callous disregard of another's humanity - but it has always existed, in every society, at every time. Sue Bursztinsky makes a good point, in that it STILL exists, everywhere the slavers think they can get away with it, including here in Britain. How you begin to eradicate it, or apologise for it, I don't know. Do the Italians have to apologise for Roman slavery and the Arena? - Large notices in the British Museum, reminding people where this wealth came from would be good to see - but maybe energy would be better spent trying to rid today's world of slavery? Yes, but the argument that slavery didn't exist in Britain did help some Georgian ex-slaves who escaped, once they got here. It is a curious paradox though, that people who lived off slavery and enjoyed products produced by slaves, still felt that in their country, men and women shouldn't be enslaved. There are two other anti-slavery campaigners I would add to the list - Joseph Sturge, and Elizabeth Heyrick, both Quakers. You can see Sturge on the huge canvas of the anti-slavery convention in the National Portrait Gallery. Elizabeth Heyrick campaigned against slavery and also cruelty to animals, and was much more radical than many male anti-slavery campaigners liked; though a member of a pacifist religious group, she sympathised with uprisings of black slaves. She organised boycotts of slave-produced sugar in various towns, set up women's anti-slavery groups and called on voters to only support candidates who supported freeing slaves immediately. She once stopped a bull-baiting by buying the bull and then hiding him from the crowd. She enthused other women to campaign across the land and even the men had to admit their contribution. Sadly, she died young, partly, it is supposed, dispirited because her work seemed unsuccessful. But it wasn't. I think the thing about remembering the slavery in the Caribbean, and reparations, is because those countries still suffer from the legacy of slavery, and need support to build themselves up. There was something about it in the Guardian, recently. And of course, that is why British politicians are so reluctant to apologise per se, they don't want to pay up.